Within this little volume lie treasure troves of insight for— the whole pursuit of a Christian's life. 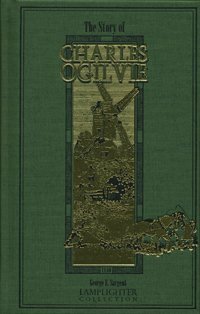 In spite of great trials, Charles Ogilvie is committed to press on. But his preoccupation with intelligent and good-natured acquaintances lures Charles away from his once-firm convictions. Though challenged to focus inwardly on such radical change as a repentant heart, peer pressure has a strange way of making one ashamed of the gospel of Christ! A startling discovery proves that the way of transgressors is hard, and as a secret crime comes to light, Charles determines never again to scoff at the truth.